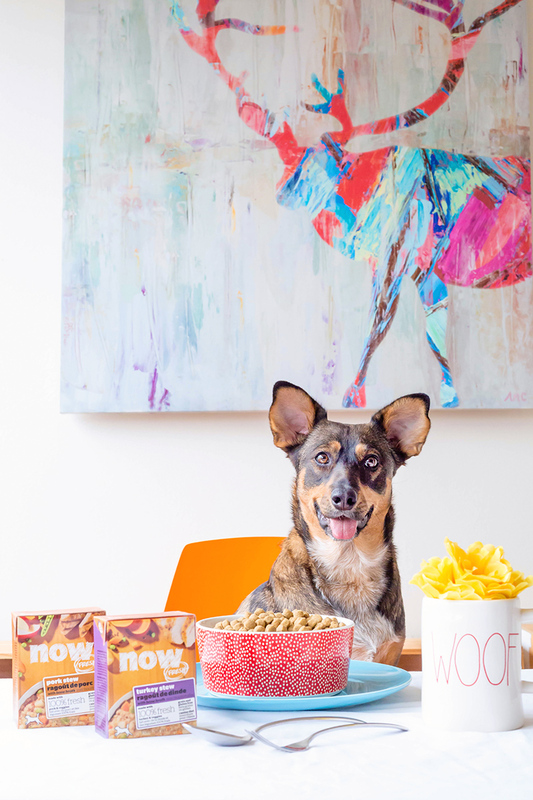 Knowing what to serve your pupster for dinner can be challenging. We all want something that is great tasting for them, high in nutrition and easy to prepare. 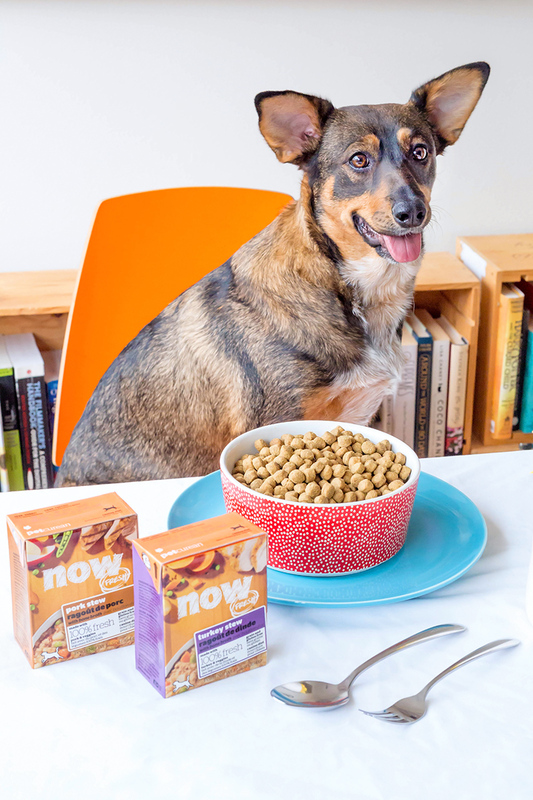 Thank goodness for NOW FRESH from Petcurean, a line of grain-free stews and pates for our canine chums (and cats too, by the way). Find out all about it below! WHAT MAKES NOW FRESH FANTASTIC IN OUR BOOKS? 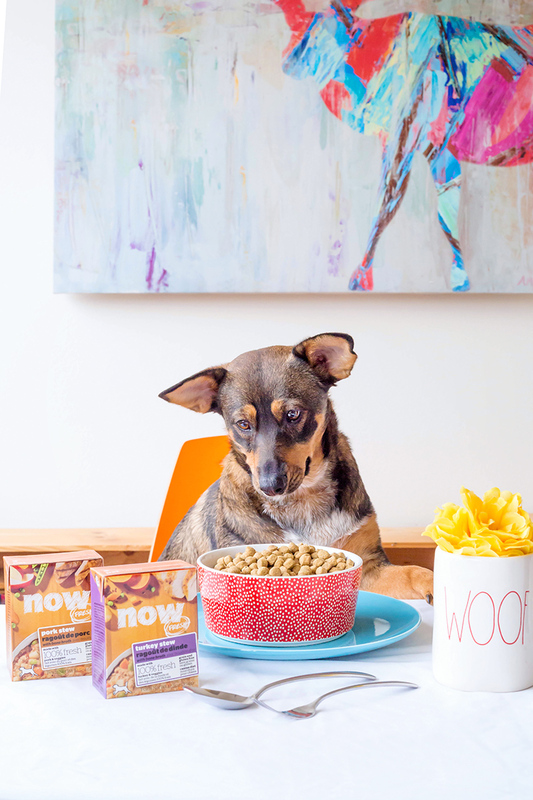 When we first heard about this new dog food line, we were charmed by the fact that NOW FRESH came in a stew format. What makes a winter evening or a cool summer night more cosy and comforting than stew? Adorable! Next, the stellar ingredient list caught our eye! 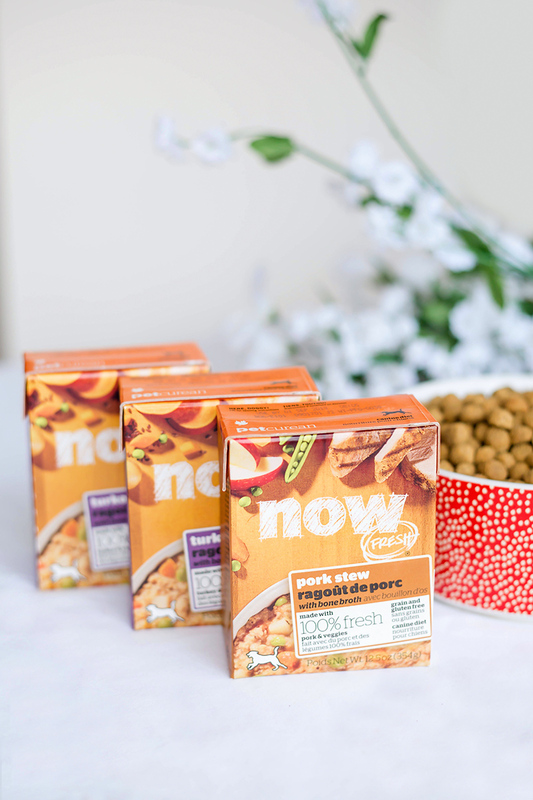 NOW FRESH is made with 100% fresh turkey and pork (which will delight puppers from all walks of life), as well as fresh potatoes, carrots, peas, cranberries, flaxseed and apples for a well-rounded recipe bursting with antioxidants, vitamins, minerals and dietary fibre — all of which are essential for good digestive health. 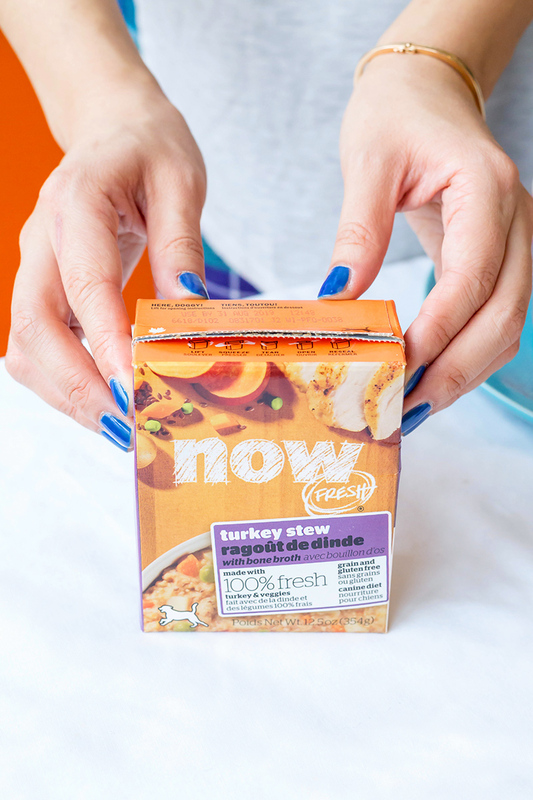 Both the Grain Free Turkey Stew with Bone Broth and Grain Free Pork Stew with Bone Broth come in cute recyclable cardboard box containers (like the soup we buy for ourselves at the grocery store!) 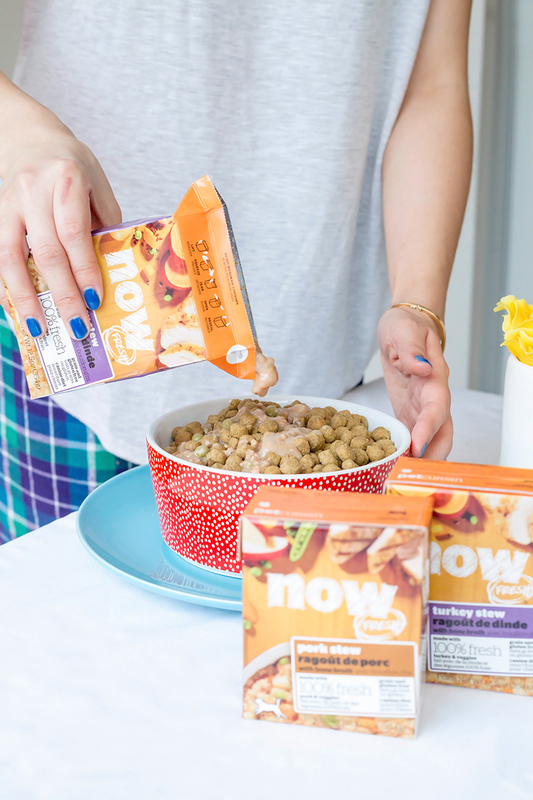 Not only are these cartons easy to open, but they are also produced from lightweight FSC Forest Stewardship Council-certified paperboard, the majority of which come from renewable resources. That’s right! Even the packaging is mindful! Petcurean as a company (which is Canadian by the way — love that!) is committed to food transparency from farm to bowl and ensures that all ingredients in their products adhere to humane animal welfare practices, fair livelihoods and the preservation of natural resources. 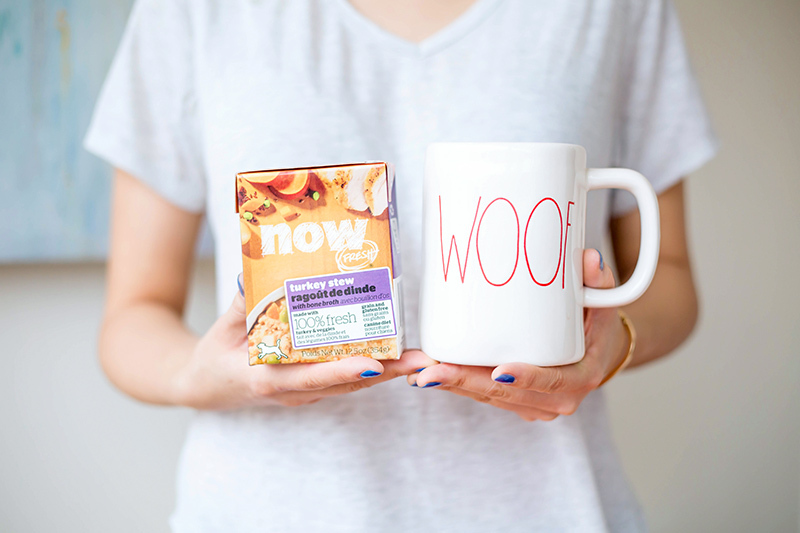 NOW FRESH really is a healthy dog food option that thinks of everything! To serve, simply open and pour. 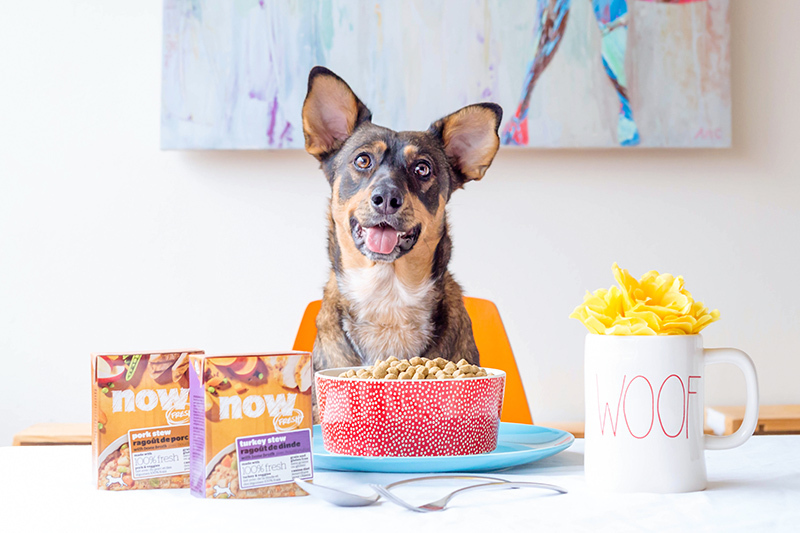 These tasty stews can be served on their own in a dish or over kibble to make supper time a little more interesting for pupsters of all shapes and sizes. Personally, we’ve enjoyed packing NOW FRESH in our dog park bags to give our dogs as a nutritional treat after an afternoon of running around like maniacs! The cartons can be closed once again too with a few simple folds — bonus!